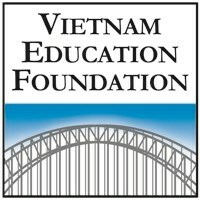 Washington DC (VNA) – The 12th Annual Vietnam Education Foundation (VEF) Fellows and Scholars Conference was held in Washington DC on March 17. The event drew the attendance of Minister of Science and Technology Nguyen Quan, former US Senator Bob Kerrey and representatives from the US University of Harvard, as well as leading universities in Vietnam . In continuation of the 20 th anniversary of normalisation of Vietnam-US diplomatic ties, the conference reviewed the contribution of education and science-technology training to Vietnam ’s development. The conference included discussions on Vietnam ’s opportunities and challenges over the next five years, as well as strategies to improve training in the fields of science and technology. Speaking at the event, Minister Quan said that international cooperation and experiences from developed countries such as the US will help Vietnamese enterprises and students promote their creative abilities, improving the country’s competitiveness as it integrates into the world economy. He also hailed the VEF, saying that the foundation has built an efficient scholarship model that helps Vietnamese students pursue their goals in the US . Meanwhile, Vietnamese Ambassador to the US Pham Quang Vinh said education and training cooperation is one of the backbones of the Vietnam-US Comprehensive Partnership. The VEF, a US congressional initiative and government organisation, was created in 2003 to grant scholarships to Vietnamese research students to attend doctoral training courses in the US and sponsor US professors to give lectures in Vietnam, mainly in the fields of science-technology, healthcare, mathematics and environment./.